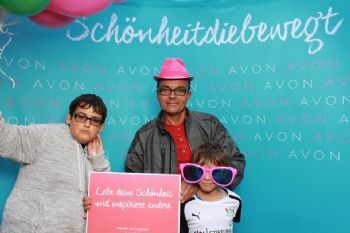 womens run and avons walk and run for breast cancer(photo heavy? here are a couple of photos took from the womens runi did the 12th of september i only have the photo the photographer took as i was alone so there is only a couple i am afraid. 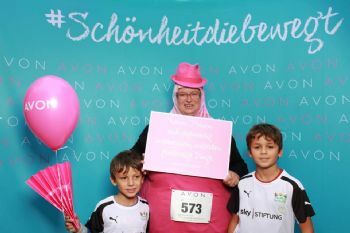 now onto the avon run walk on the 4th of october last weekend.ayyub and ayman was also doing their first race a 500m and i was so proud of them.this time we have several photos as my husband and zakariya also came too so could take photos..i also took off 2 minutes and 02seconds of my women´s run time not the 2 mins o7 seconds i thought i had took of.here is the proof. now to the photos of the races and some fun photos of the day. nothing to do with the run but to do with exercise my zumba teacher was interviewed for the local quartal magazine and i am in one of the photos used in the artical.click on to the link and scroll down to page 10 and you should see me in the top left photo.the kids seeing my photo in the local magazine but me a couple of notches higher in thier book,lol. Fantastic I love the tutu. It looks like it was a fun day for all. I'm so PROUD of you!!!! Thanks for sharing!!!! GREAT SPIRIT AND GREAT JOB!! Good job doing these 5K even if you are by yourself. I'm proud of you for all the hard work you are doing. Looks like everyone had fun including your hubby. One of these days you will manage to get your time down. Wow Karen you guys had a ball. Absolutely awesome!!! I just LOVE that tutu. And you and your DH have every cause to be proud of your boys! Excellent. Thanks for sharing, as always. Awesome! You go! I'm thinking of signing up for my first race in November. I'm still kind of putting it off because I'm scared. You've inspired me! That tutu is EVERYTHING. I LOVE IT! You go girl. So inspiring. Doing my first 5K in November! So many mixed emotions about it.